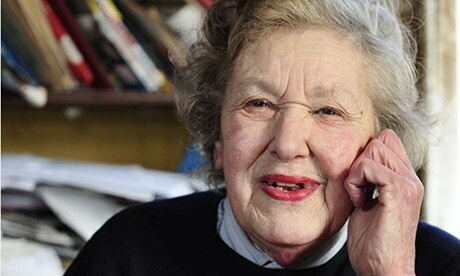 Dorothy Brown MBE died suddenly on Tuesday 8 October in Bristol, aged 86. She was a long-term supporter of BBPT and a tireless campaigner for old buildings in Bristol, finding new uses for empty or derelict properties. Her dedication to the conservation cause was recognized with the award in 1988 of the MBE and in 1991 her receiving an honorary degree from the University of Bristol. Dorothy established the Bristol Visual and Environmental Group in 1971, primarily to stop the demolition by Bristol City Council of around 400 historic buildings in the central areas of Bristol, which had been approved in the 1966 Development Plan – mostly to accommodate urban throughways and comprehensive redevelopment, then all the rage. Dorothy, who was instrumental in their listing, managed to save most of them, including the 18th-century Brunswick Square in St Paul’s, via many public inquiries. However, it was her work at Acton Court in South Gloucestershire that brought her to national attention. After securing the future of Acton Court, Dorothy turned her interest to Frome in Somerset where she came to the rescue of an important 15th – 17thC wool merchant’s house together with a 17thC storehouse in the garden, with the support of the Frome Historic Buildings Trust. Meanwhile, back in Bristol, Dorothy helped found the city council’s Conservation Advisory Panel, whose meetings she attended and enlivened, right up until her death. In her book on Acton Court she wrote “… I’d like to emphasise that there are still amazing old buildings and gardens waiting to be discovered by those who value such things and that local history is emerging all the time to the delight of the large number of people who enjoy history and archaeology”. Those who met and knew Dorothy will treasure their memories of her. Her unstinting campaigning and enthusiastic interest in caring for our history, while at the same time finding new uses for old buildings, was – and remains – an inspiration. Her husband Tom pre-deceased her by six years. She is survived by her children – Mike, Hugh, Jo, Guy and Jenny – and five grandchildren. “Canons’ Marsh” – published 1988.